This letter recognition app is, by a long shot, THE best app out there for toddlers. 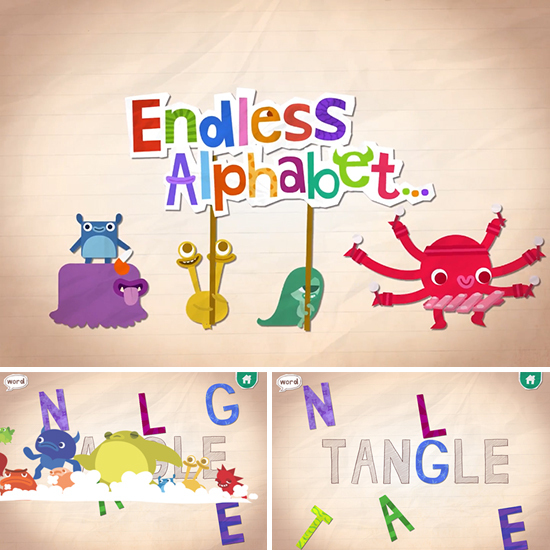 The adorable graphics + the genius phonics-teaching method is preschool gold. Not to mention the animated short it shows for the definition of every word! The words are truly endless and I have even upped my vocab from eavesdropping on Freida's playtime (gargantuan, anyone?). Also, I find it completely mind blowing that Hudi has learned all her phonics from this app. She doesn't know the whole alphabet, but can point to any letter and make the correct sound!! This is totally worth the whole $7. Promise. 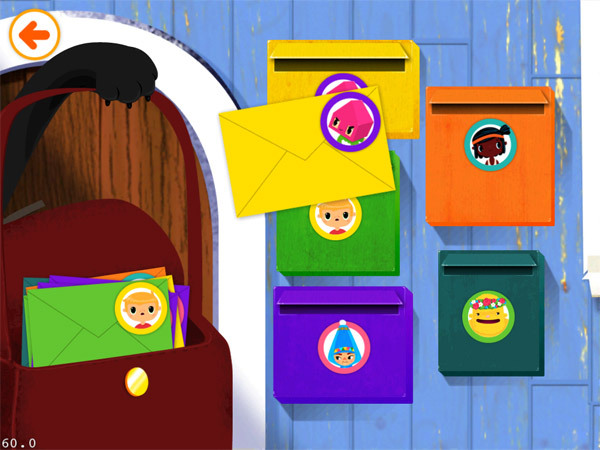 Help the quirky Toca characters with chores around the house. Sort the family mail, mow the lawn, wash the windows... you get the idea. Awesome graphics and great sound effects make this app super-fun to play and non-obnoxious as backround noise. Your kids will love it. This interactive artist app has fast become a family favorite. And for a while when I was sleep training Hudi last year, this was the activity I would set Freida up with after bath each evening. We upped the ante and made it even more fun by implementing a little lap whiteboard (the kind for practicing letter, $1 aisle in Target) and a dry erase crayon + eraser. 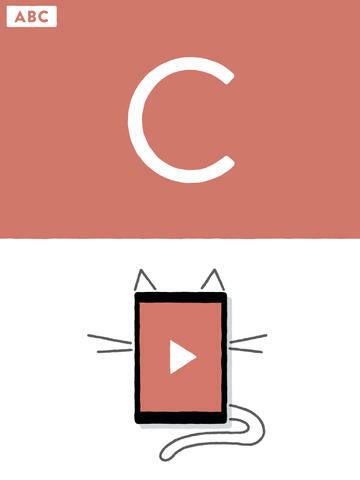 The concept of using the device as an art component is wild, and the animations are adorable, to boot! 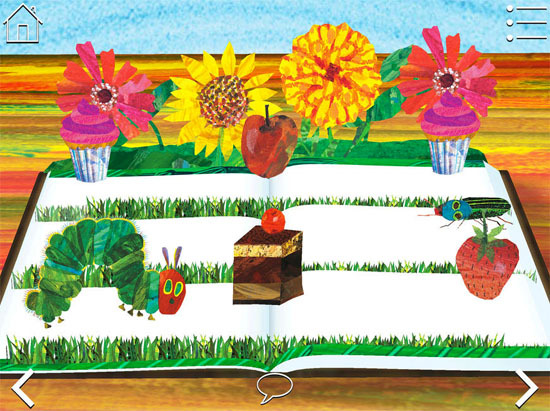 This 3-D popup storybook features the most beautiful and whimsical of illustrations. This app is so well done, and the story-telling narration helps walk the kids through how to play and what to do. And somehow that makes it just interactive enough for them to play with it longer than other apps. Plus, the activities are relatively educational. P.S. Don't forget about Fiete for the toddlers! Babyccino has some fresh new material! 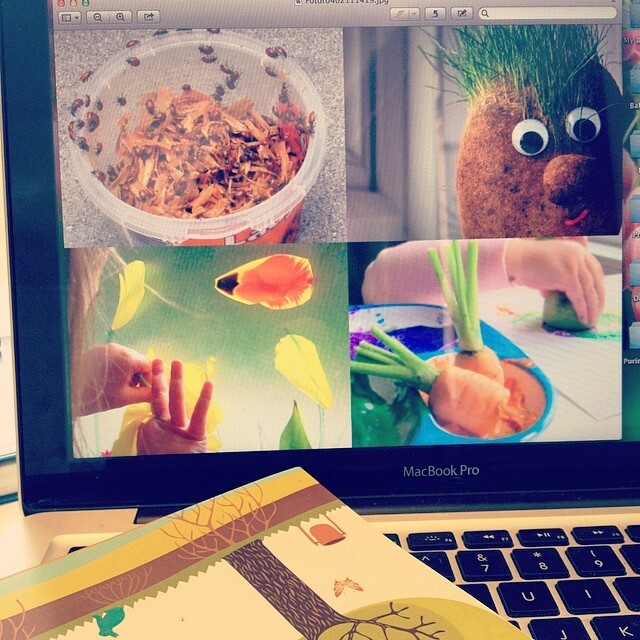 The Spring 2014 curriculum has just landed last week, and the theme is "Spring!" - featuring the elements of the nature around us via plants, bugs, water, and earth. This growth-themed series will encourage young children to explore our world with their senses, communicate with creative art, and express themselves through music and movement. Due to popular demand, this particular 8-class curriculum includes classes and activities for the holidays of Lag Baomer and Shavuos. 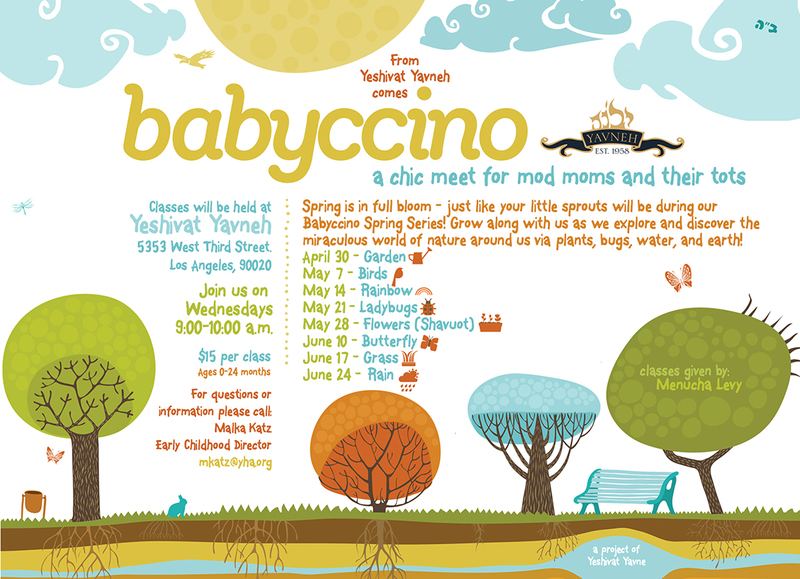 Join the Babyccino team and watch your community of little sprouts blossom!! The Curriculum consists of a “theme”/unit, the music playlist for that theme, and 8 detailed classes. (We will be selling 3 different curriculums throughout the year – 8 fall classes, 8 winter classes, 8 spring classes.) It basically lays it all out for you – you can practically spend one Sunday getting things together off the list of items detailed here, set them aside all ready-to-go, and never have to plan another mommy & me again. Seriously. You should hit up the Babyccino facebook page to get an idea of what I’m talking about. There you can view full photo-documentation of all our previous classes and you’ll see what it’s all about. Click here for a more detailed blog post about Babyccino and here to see what buyers are saying about it. Happy Spring and Chag Sameach to you all!! I've been on the fence about giving Freida swimming lessons this Summer or waiting until next year. I feel like kids in LA really need to be swim safe in general, and I also think she'd have a crazy fun Summer if she'd learn how to swim. 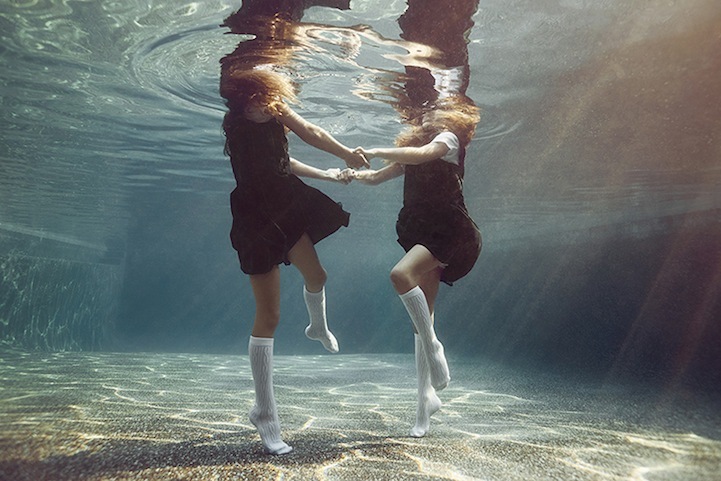 But at the same time, I know she's fearful of water and is happy as a clam to hang out at the seas edge jumping waves, or in a pair of floaties at the pool. 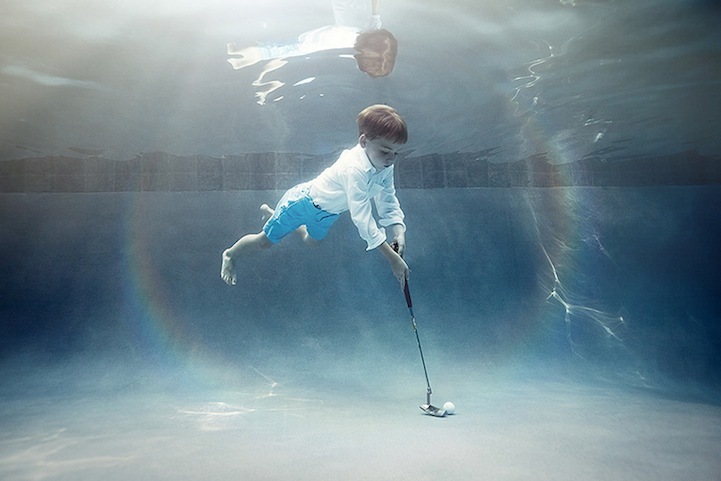 I hear so many moms talking about what a waste of time it is to start kids lessons when they just aren't ready, and I really don't think she is. I think if she were motivated a bit more by kids in her bunk knowing how to swim, or if she ever asked about learning how to swim - I'd sign her right up. 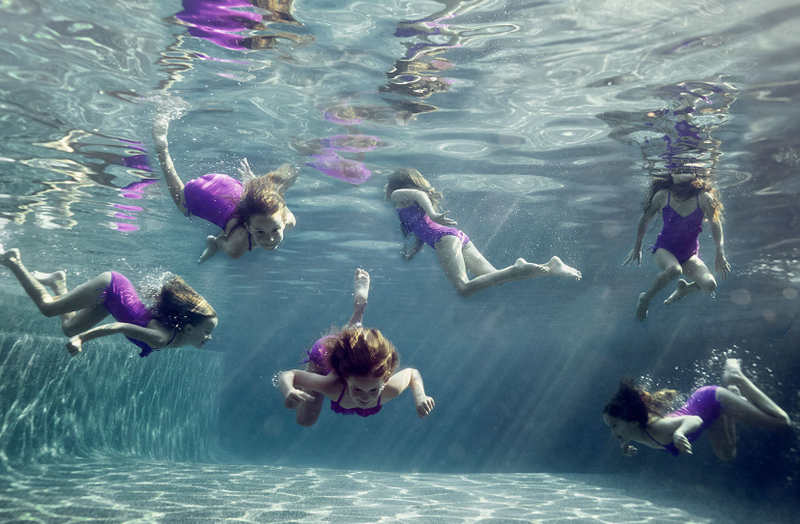 In any case, while googling around a bit for some kids swim schools in LA, I happened upon there images by Alix Martinez, and they totally made me swoon (and want to give her lessons!). 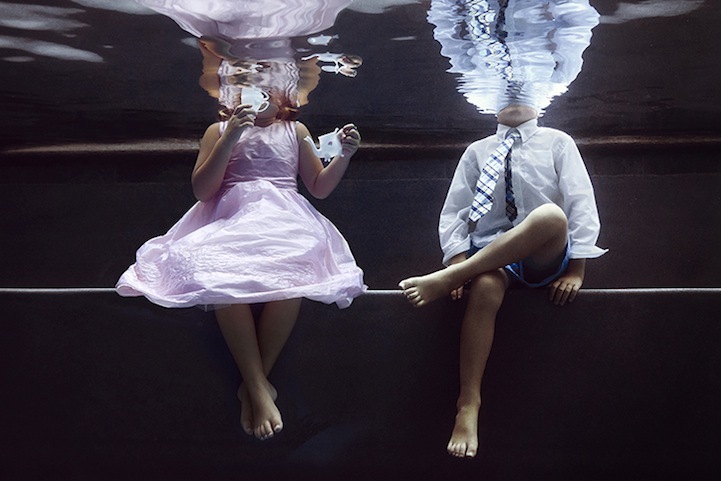 How awesome is this water photography?? 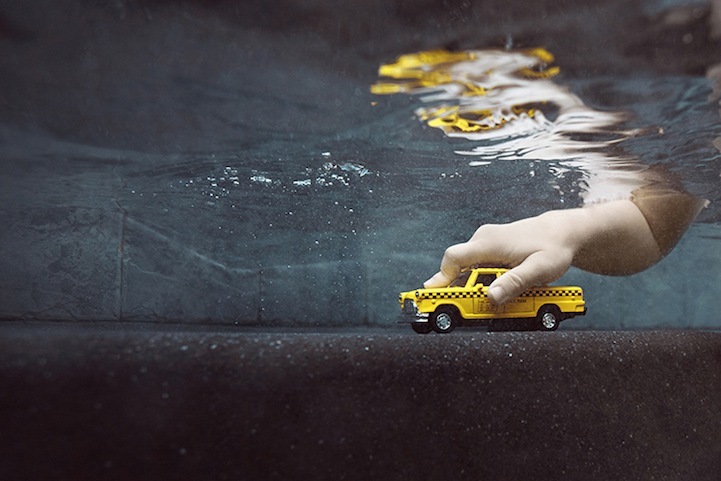 If I had boys, I would want a huge print on that taxi photo in their playroom. Just sayin'. Check out the rest of them on his website. 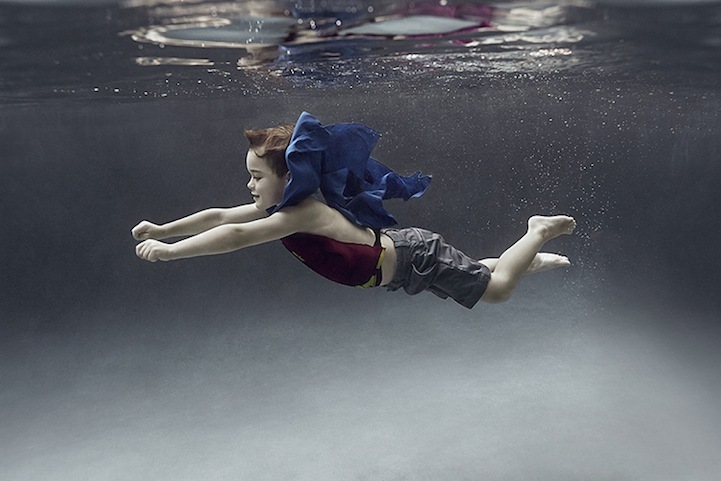 And I'm curious to hear, at what age did you start your kids in swimming lessons? 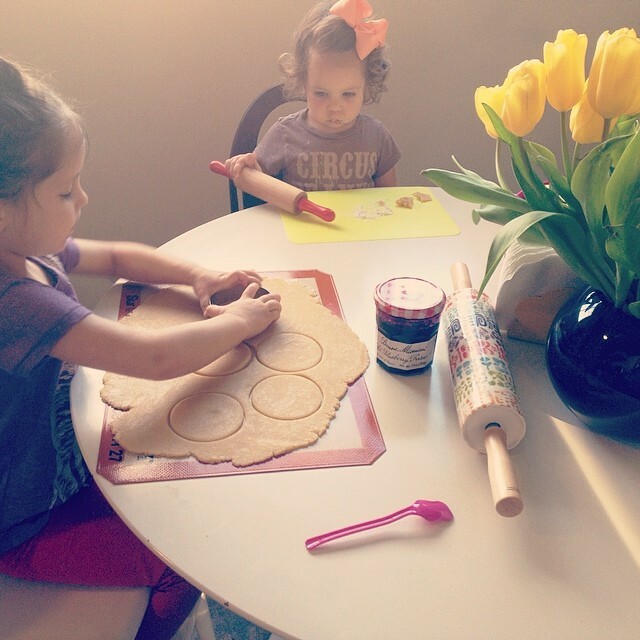 Recently, I had a little triumph involving tools*, and it finally got me to sit down and post about Goldieblox. A draft of this post had been sitting in my outbox since Chanukah (when my wildly trendy sister Rivkee gifted 5-year-old Freida with Goldieblox and the Spinning Machine), and while we've been enjoying fiddling with the thing, mastering the many prototypes in the users manual, and even coming up with some of our own creations, I haven't yet spread the good word about this goody for girls here. 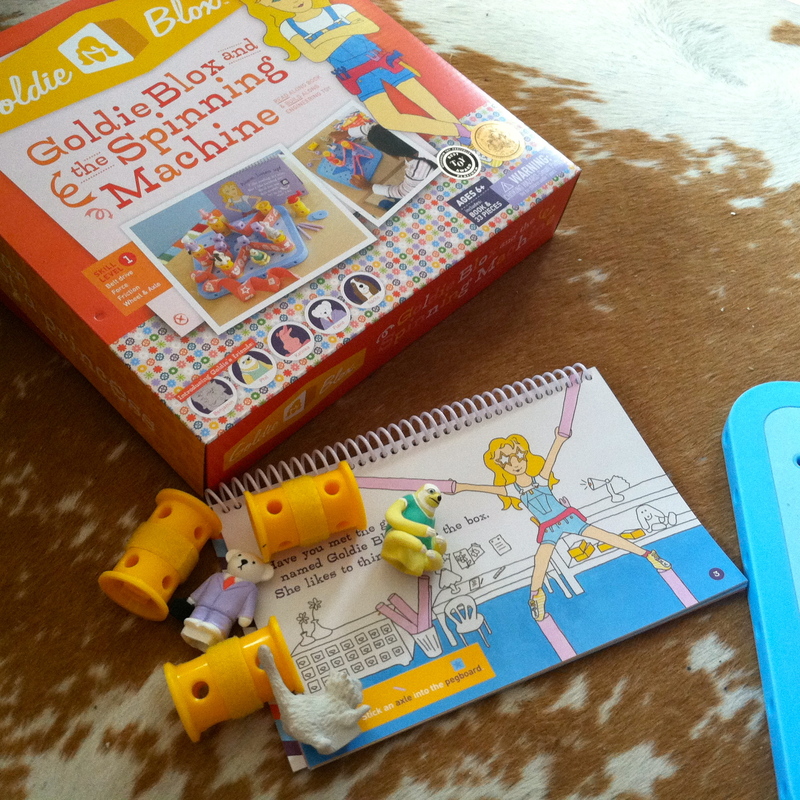 Goldieblox - dubbed 'toys for future innovators'- has been blowing my mind. We all know the ins and outs and young women in the business world in general (and as #banbossy goes to show, it's still a serious issue), but this toy just took things to a whole new level. Forget pushing education and college courses, and try cultivating the innate love for puzzles that is in every child. Toys like these not only encourage children to think outside the box (much like legos do), but they inspire young minds to problem solve and work through things on their own - resulting not only in their own solutions, but in their own creations. Freida found it a bit difficult at first, but once she got the hang of the concept she fully took off, and has been happily messing around with it since. Once they understand the basic concept and know the logistics of the different pieces, it's a refreshingly fantastic toy for kids to play with on their own. On the weeks that I have the girls with me for Shabbos, I break this out when I want to keep Freida occupied while I put Hudi down for a nap and even sneak in some "me" time with an iced Irish coffee and some pages of the latest Vogue. 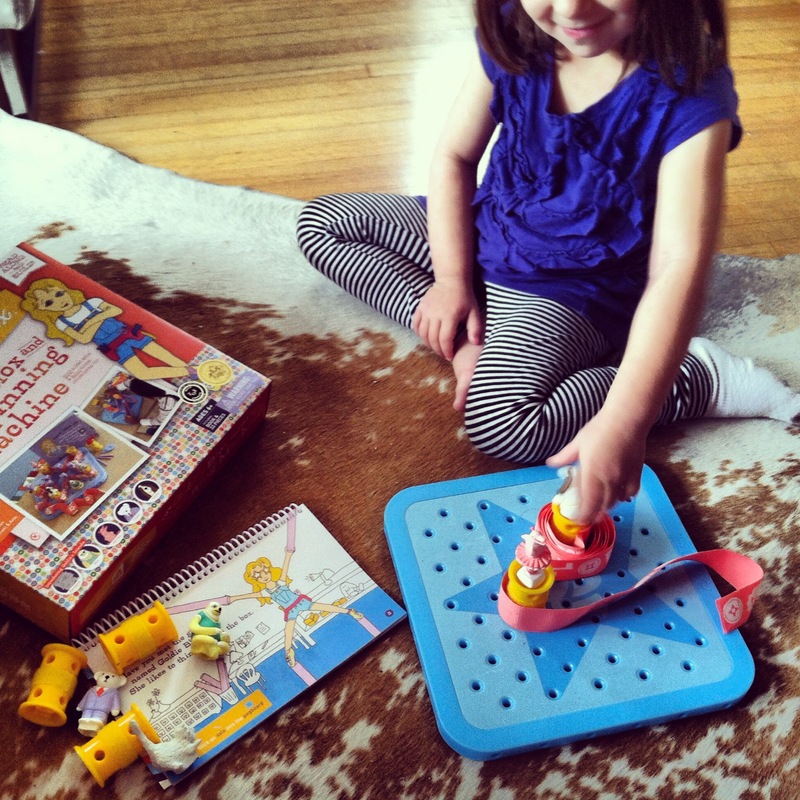 The fun with this toy is never fleeting, and it's a great gift to consider for girls ages 4-8. *I had been living in this apartment for a whole bunch of weeks with a broken play kitchen. The fridge had some loose screws and 2 cabinet doors had fallen off. I stashed them behind the kitchen, and figured I'd get someone to come fix it. I didn't. It wasn't exactly an urgent priority, and so it sat idly somewhere on my to-do list. Until one day recently - I just got fed up with looking at a broken piece of furniture in the girls room - I just grabbed a lonesome screwdriver that had been sitting amongst a slew of pens and pencils at my desk, and fixed it all up like new. It was so easy! And I felt so dumb! I couldn't get over how ridiculous it was that since I was always used to someone doing the handywork for me, I figured I shouldn't even try. It made me think about how many other things I leave waiting on the back burner because I think I don't know how or am not able to do them as well as somebody else... And so this lil' tool triumph has taught me to (at the very least) give things a try. Yes. 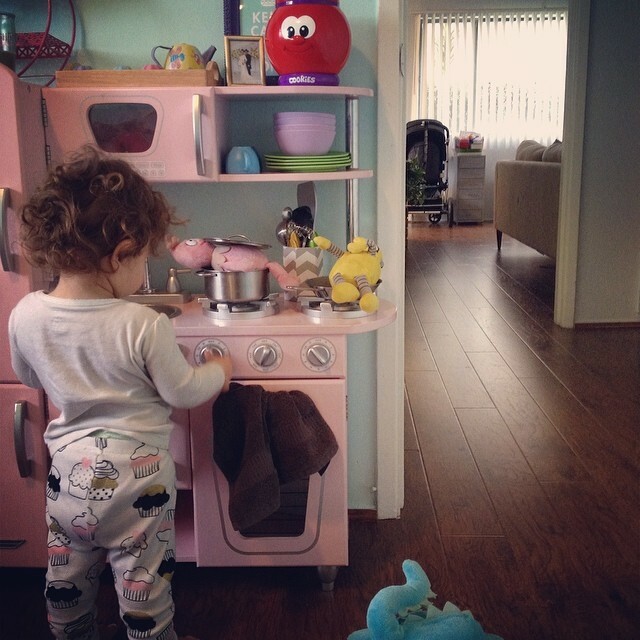 She's cooking Foofa. And frying Plex. I know, perplexing. Well. I haven't been on this thing in quite a few months. But there's nothing like a holiday recipe for a quick comeback! I made a big batch of hamantasch dough for Babyccino, and have been getting recipe requests that I've been responding to via text message. Here's a much easier way for ya'll to get in on the easiest most fool-proof hamantasch recipe ever! And it's all thanks to The Shiksa (I adapted her recipe a bit, but more importantly I used her folding method)! Over the course of the last two months the girls and I have moved into a new apartment, and while unpacking was taken care of immediately, and nesting done all along the way, we are only just getting settled enough to really call it home. And home means holidays. And holidays usually means food... Hence, this post. This dough was so easy to whip together - you definitely have all the ingredients on hand. And there's none of that waiting or refrigerating bullocks. Just dump your ingredients into a mixer (or a bowl :)) and start mixing it to incorporate it all. It will look shockingly crumbly before it takes on the form of nice good sugar-cookie-like dough. Just keep mixing past the crumbliness, and it'll morph to perfection before your very eyes. Flour a work surface (these are the very best and worth every damn cent!! 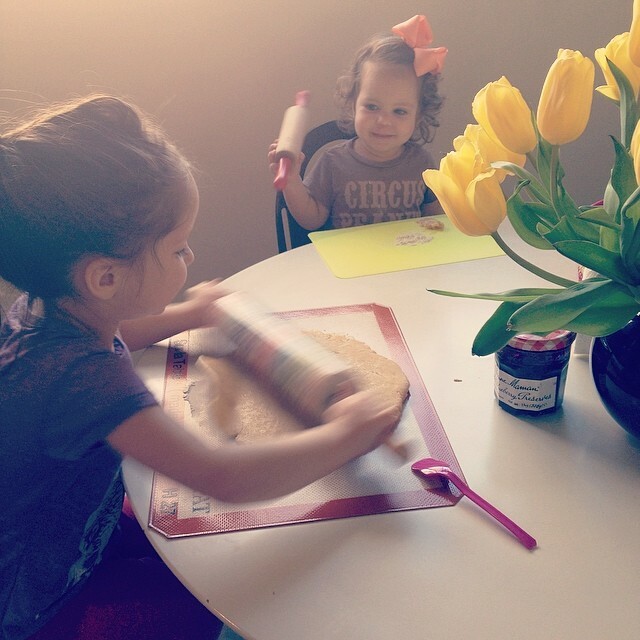 ), and use a rolling pin to spread out your dough to about 1/8 inches thick. Use a 3" (or larger!) cookie cutter, or a glass with that sized rim, to cut out your cookies circles. 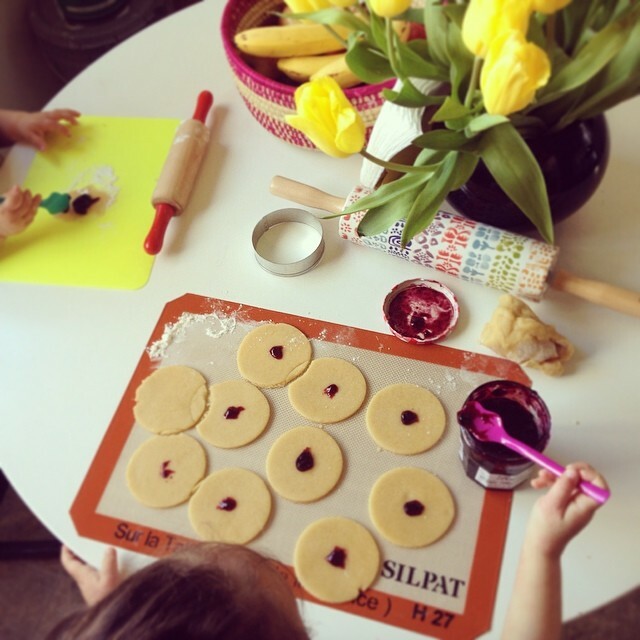 Use less than 1 teaspoon of filling per cookie! I think this is where I used to always mess up: overstuffing. Also key factor, using a filling that won't be too runny and seep out the edges. Thicker jams and fruit preserves work much better good ol' American generic jelly. Reserve that stuff for the PB&Js. Pick up a jar of serious jam and you'll be much better off. 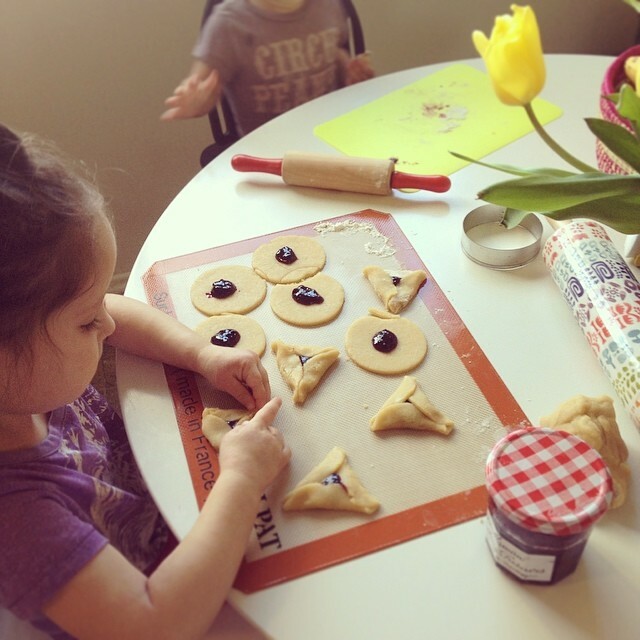 I love using Bonne Maman for hamantaschen (and for Sunday eggs and soldiers). The flavor is off the charts! 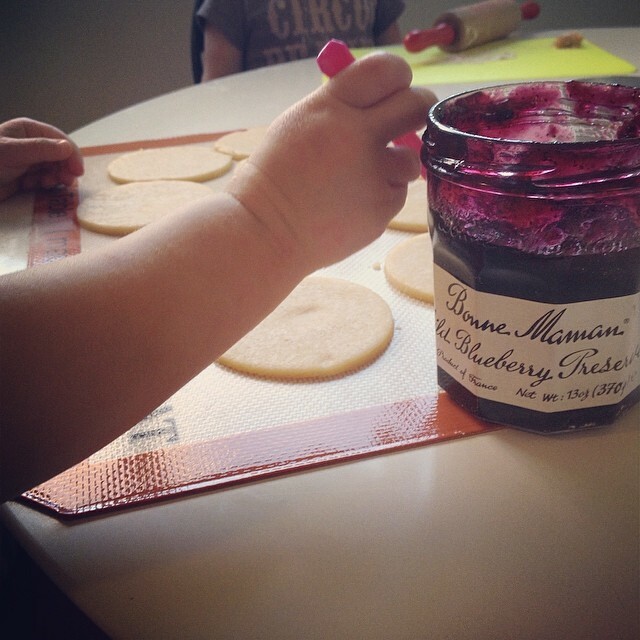 Plus once we've done one dry, I remove the labels and put those cute french jars to use throughout the house. 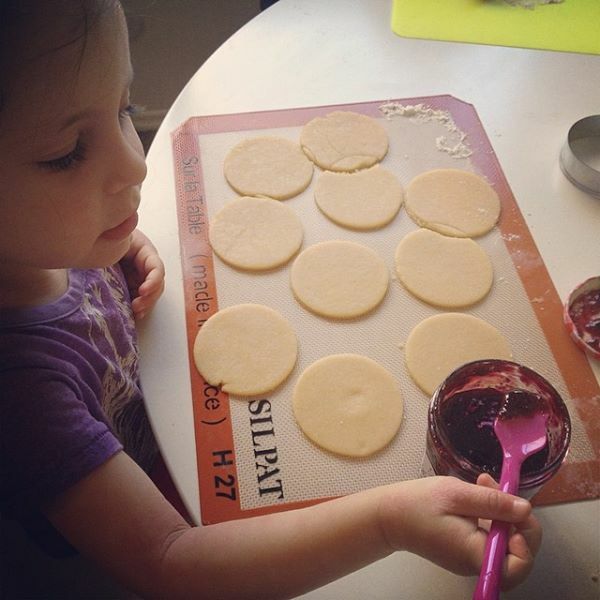 This year I used Wild Blueberry, and I can personally vouch for the consistency being perfect for Purim cookies. Once you've jammed all your circles, it's folding time. This is the utmost important part in any successful hamantasch. Folding, as opposed to just pinching corners, is what keeps your little packages nice and neat. Much like wontons. You can even set out a little bowl of water to use as a "seal" if you're having trouble. But you shouldn't have trouble. 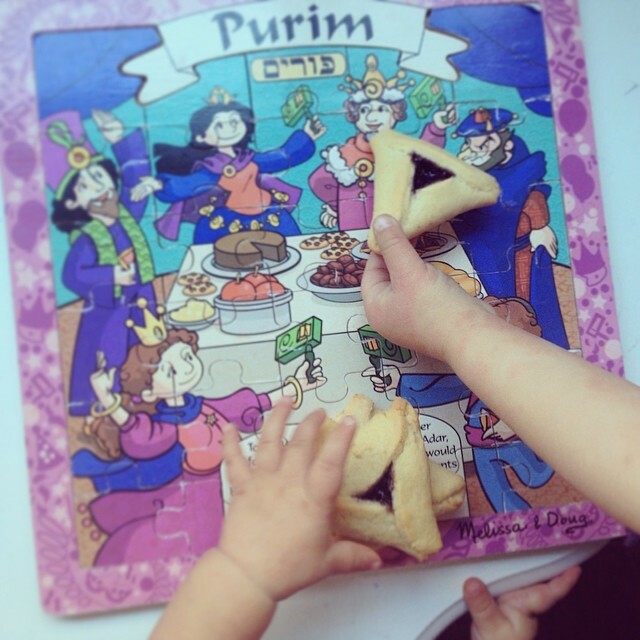 Follow The Shiksa's guide to How to Make Perfect Hamantaschen, and you'll be sitting pretty. Bake for about 23 minutes on 350. And that's a wrap! Easy as pie, right? Enjoy!! P.S. 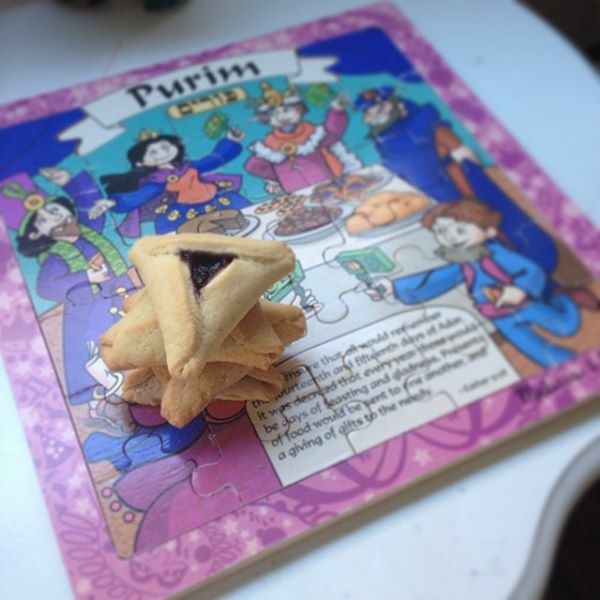 Check out "Stomp Stomp Stomp (the Cookie Song)" by Karen Daniel for an adorably refreshing Purim song!